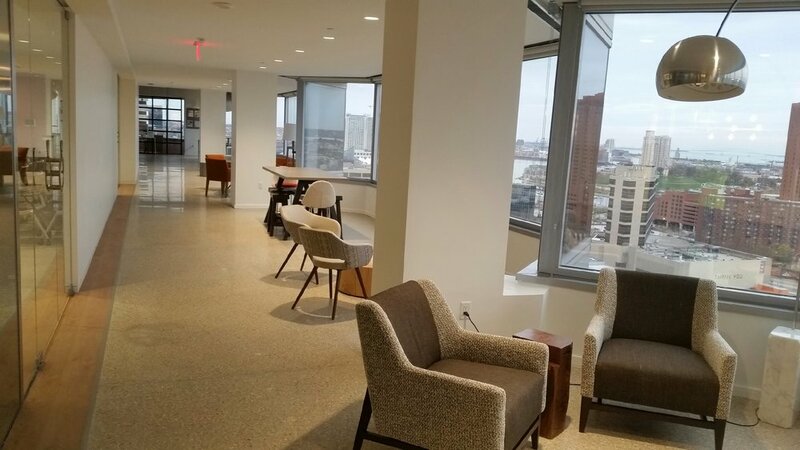 This project was the premier renovation of 5 office floors in a downtown building in Baltimore for the global headquarters of the Pandora Jewelry company. Our scope of our work included the primary corridors on all five floors of their new office. These primary corridors had numerous seating enclaves for people to work. We also did the cafeteria area and some additional common area spaces. 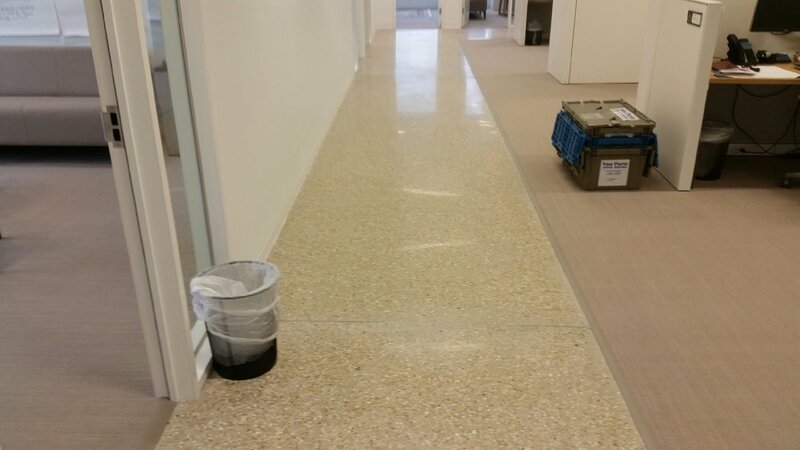 Initially, this was only going to be a polished concrete job, but after closer inspection, the floors were not in good condition for polishing and would need an overlay. Additionally, the owners and architects wanted something more unique. Hyde Concrete worked with all parties to provide that. In the end, we installed 14,000 SF of surface seeded polished overlay using a locally sourced gravel. We ground the concrete to fully expose all the stone and then polished and burnished the final surface.